Dalet School is a non-profit religious school located in Bethel, Pennsylvania. It was founded in 1976 by the Assemblies of Yahweh to keep the children of the members out of the worldly school system. Dalet School teaches the basics of education while maintaining a spiritual atmosphere. Directing Elder Jacob O. Meyer (OBM) served as the Chief Administrator. Presently, his sons are serving as Administrators. Deacon Raymond Shaparenko serves as the acting principal and Head Teacher of Dalet School. Teaching assistants and volunteers assist with classes in the school. Dalet School contains grades K-12. In the one-room classroom setting, as each student studies he can acquire an idea of what his future classes will be like and can also review the classes he has previously had. The most rewarding part of a Dalet School education is that the children will grow in their obedience to Almighty Yahweh. The dalet, the fourth letter of the Hebrew alphabet, symbolizes an open door. Revelation 3:7-8 states, "An open door which none can shut." Therefore, Dalet School is often thought of as an open door of opportunity. 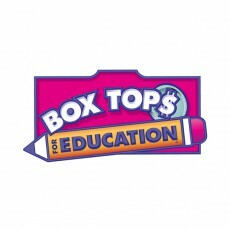 Many companies are partnering with Box Tops 4 Education to help earn extra cash for schools. Please help Dalet School by sending in your Box Tops from participating products and stores. Dalet School can earn 5% back in credits on qualifying purchases. Go to http://officedepot.com/a/content/back-to-school/5percent for details. 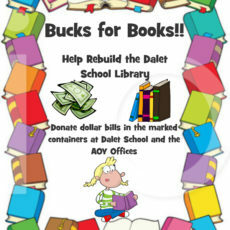 Help Rebuild the Dalet School Library Donate dollar bills in the marked containers at Dalet School and the AOY Offices. We appreciate your support!